In the midst of stressful times, painting is good for the soul. My roommate laughed at me because she came home the other day and found me painting in bed. I figured when I was painting something so simple (see above), I couldn’t get too messy. I found the idea from a letterpress print I found online. 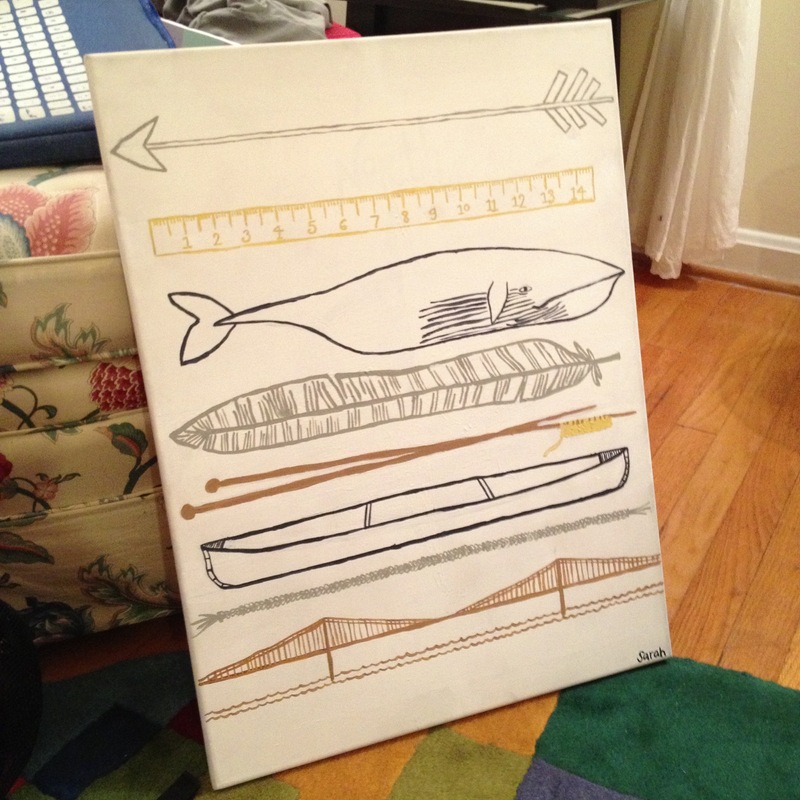 I didn’t copy the print exactly (that would be rude), but I did take the idea (and the bridge, canoe, feather, ruler and whale). Check out the letterpress shop here. It is one of my favorites, and it’s a great place to look for Christmas presents (hint, hint). Everyone brings an unique perspective to an antique shop. My roommate has an eye for furniture. Another friends has a thing for vintage jewelry. I tend to fall in love with fabric. The other day I was wandering through the rows at an antique store in Homewood, and a set of napkins caught my eye. Naturally, I bought them and a matching handkerchief nearby. Once I took out the napkins’ seams, I cut them into perfect squares. 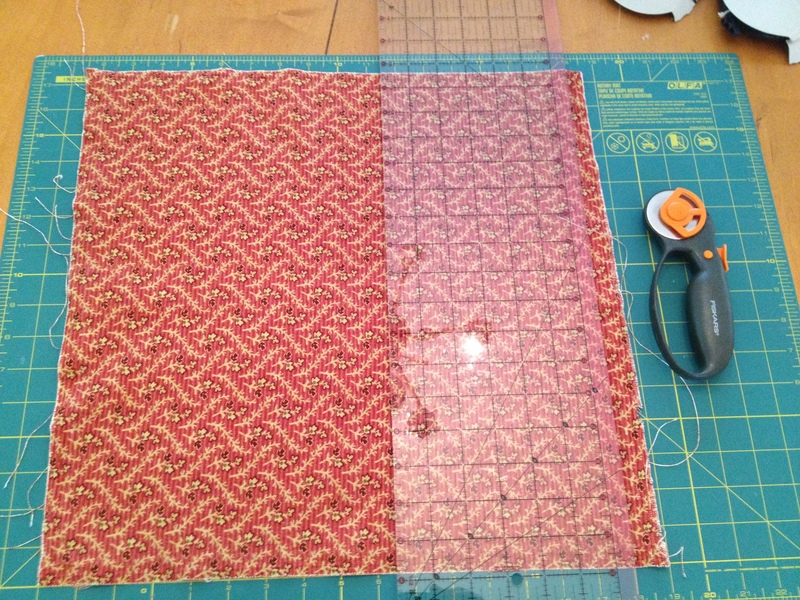 When removing the seams, I usually lose fabric due to unraveling. I decided to not work with a pillow form, which meant I could make the pillow any size I wanted. 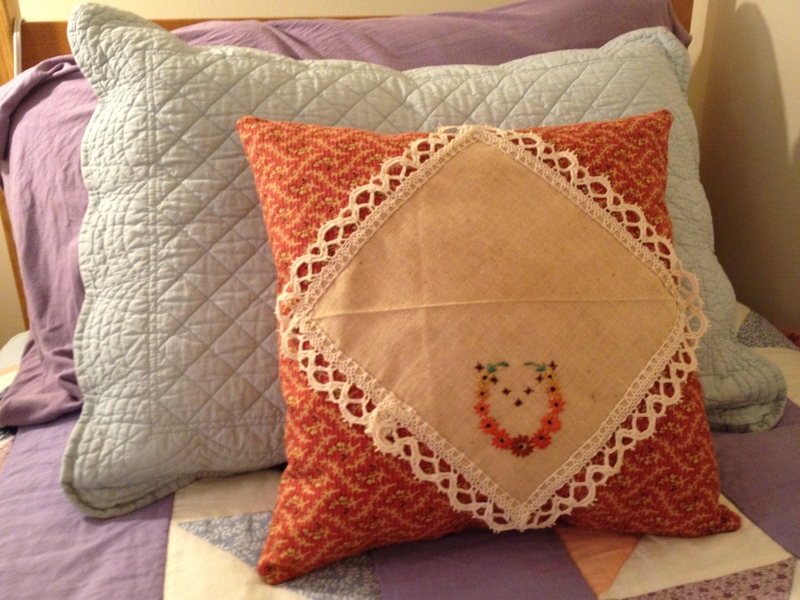 I ironed out the handkerchief, and pinned it in place on my designated “front” side of the pillow. 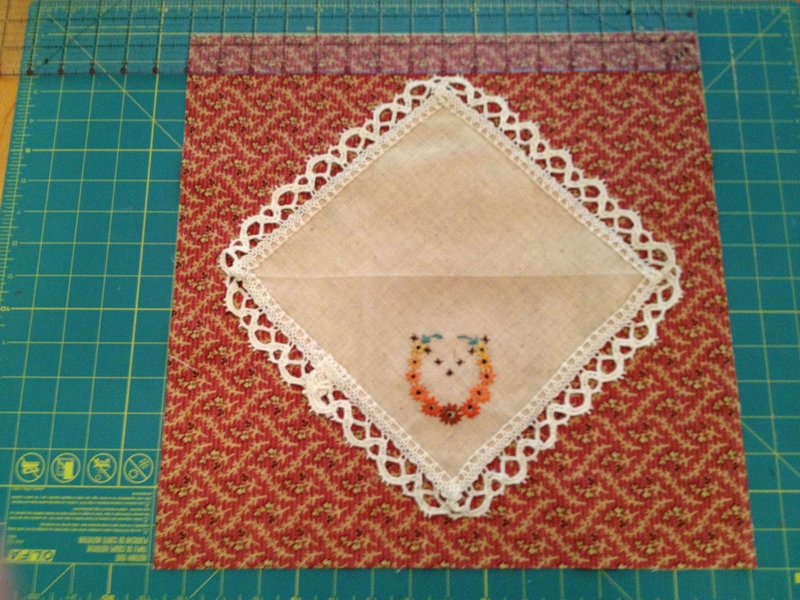 With the lace edges, I didn’t want to compromise the look by using my sewing machine, so I hand-stitched the handkerchief to the napkin. 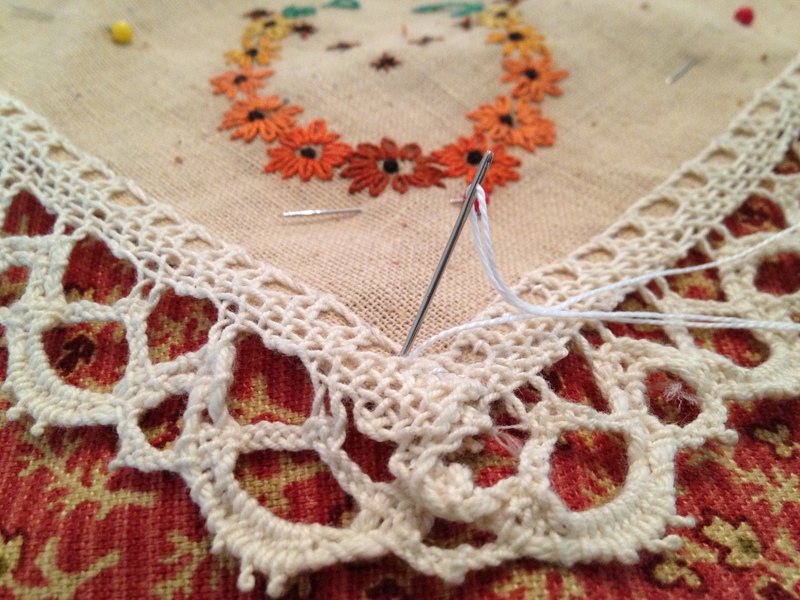 Once the handkerchief is sewed down, time to make the finishing touches. Take the two napkins and put the two “right” sides together. I used a 1/2 inch seam, leaving a small hole to stuff the pillow. 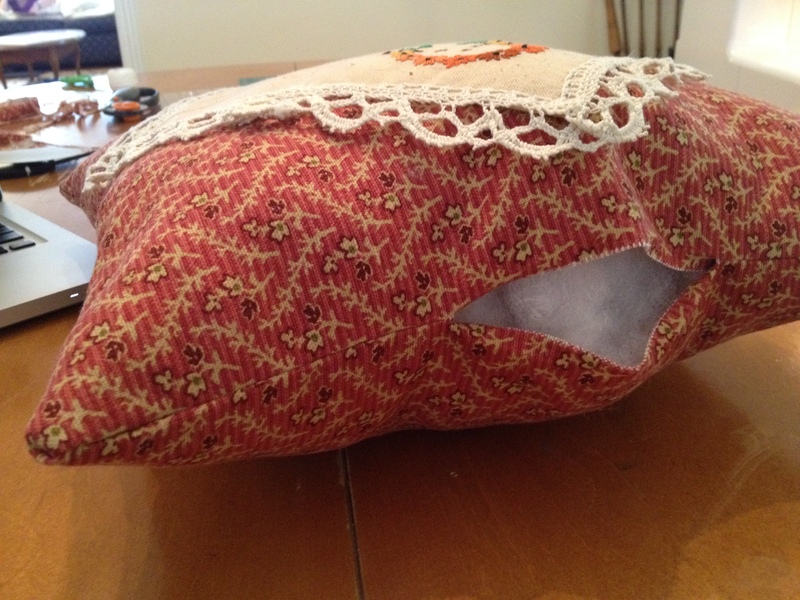 Once the pillow was full, I hand-stitched the hole closed. Super easy and quick to make. When I dreamed about my senior year of college, I never imagined it would be as demanding as it has turned out to be. Leadership in SGA, working at a marketing office and this ridiculous class called “Rhetorical Criticism” has kept me away from my sewing machine and stuck at a desk in the library. With three weeks left in the semester, slowly, I am coming out of the cave of craft hibernation. Fabric covers my floor and bottles of paint are scattered across my desk. Projects are happening. Thank you for sticking with me during my prolonged absence. I logged on to WordPress this morning, and saw 58 of you visiting yesterday alone. I am so unworthy.